Our NOVA range for the Sign Maker is now available to download via the Following link. Source the correct bonding tapes and adhesives suitable for your applications with our easy to follow ‘substrate to substrate’ bonding matrix. 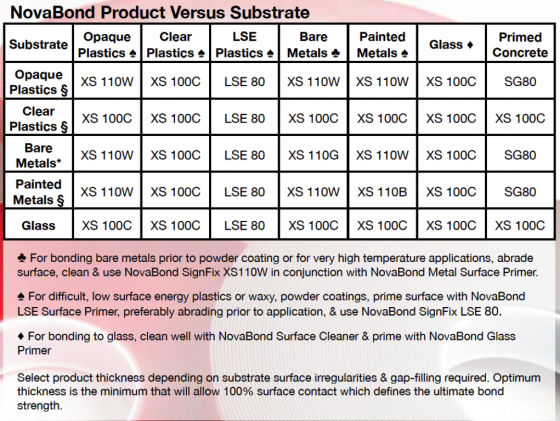 Get the best from your bond with the 6 point surface preparation guide.